The Burnside hotel is the ideal location for both social and business needs. 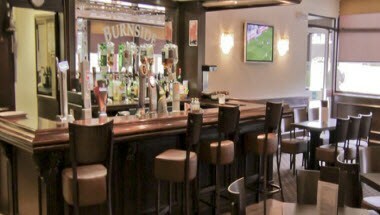 Positioned on East Kilbride Road Rutherglen, the Burnside Hotel is a short distance away from Glasgow City Centre, and a perfect site for those travelling to our National stadium Hampden Park. Feel at home in one of our 16 bedrooms, with full ensuite facilities and enjoy indulging in a freshly cooked Scottish breakfast all inclusive of our bedroom tariffs. Within the hotel we have three function rooms, ranging from small and intimate to large and open. 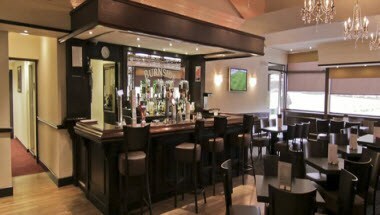 We cater for a variety of functions including: Weddings, Christenings, Communions, Birthdays, Anniversaries and Funerals. Serving food 7 days a week and offering a wide range of cuisine, our lounge and bar areas are the perfect choice for that of a quiet meal to group celebrations. We are more than happy to take any reservation and it is our aim to ensure the ultimate dining experience. Whether you are planning a small private to large extravagant wedding, it is our Job to ensure a smooth running unforgettable day.